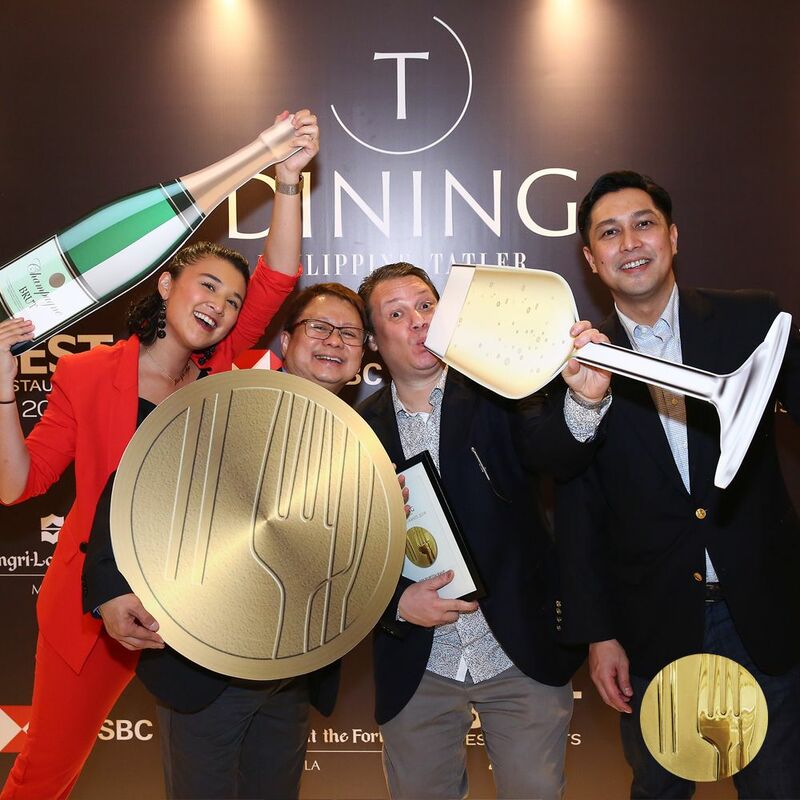 Philippine Tatler's T. Dining celebrates with launch of the Best Restaurants Guide 2019 and recognises the best in the industry. A trusted source of thorough and judicious coverage of the Philippines’ culinary landscape, the T.Dining Best Restaurants Guide (BRG), which is now on its 15th edition, is an all-encompassing cross-section of establishments across Metro Manila, Cebu, Davao, Iloilo, Baguio, and Boracay. The Country’s top restaurateurs, chefs, foodies, oenophiles, and discerning sophisticates congregated at the High Street Lounge of the Shangri-La at the Fort Manila to celebrate 173 well-deserving restaurants who made it to this year’s guide. The 2019 BRG was in esteemed partnership with HSBC. Philippine Tatler’s Managing Director, Irene Martel Francisco, warmly welcomed the 350 guests and announced two exciting T.Dining events for the year. In March, there will be the T.Dining’s Best Restaurants Week at Rockwell. Then, in July, foodies can look forward to T.Dining’s Culinary Journey through SM Aura. These events will highlight special dishes and discounts from participating T.Dining restaurants that are available to all during the promotion period. The most anticipated part of the evening, of course, was the grand reveal and awarding of the Top 20 (now on its fourth year.) T.Dining Best Restaurants co-edits, Maritess Garcia Reyes and Shauna Jay Popple Williams, joined Francisco in the awarding. Representing the best of what our vibrant dining scene has to offer, the 2019 awardees were Bar Pintos, Benjarong Royal Thai, Blackbird, Bondi & Bourke in Davao, Canton Road, China Blue by Jereme Leung, Cru Steakhouse, Donosti, Finestra, Foo’d by Davide Oldani, Gallery by Chele, Kyo-to, M Dining + Bar, Man Ho, Mirèio, The Pig & Palm in Cebu, Raging Bull Chophouse & Bar, Sirena in Boracay, The Tasting Room and Wildflour Restaurant. Last year, T.Dining introduced four “Best of Class” awards. This year, these categories were Best Interior Design, which went to the stunning Harlan & Holden Glasshouse; the Best New Bar award went to The Back Room of Shangri-La at the Fort Manila; Best Service was awarded to the amazing team of Sala Bistro; and Most Inventive Chef was conferred to the well-loved Chele González! For the first-time in BRG history, an additional category – and the pinnacle of all accolades – was the introduction of the Hall of Fame award. This prestigious honour went to Antonio’s, behind which is the celebrated chef-owner, Tony Boy Escalante.